New Hegel HD12 DSD DAC, To be launch soon in October. The HD12 is a giant step up from the HD11. 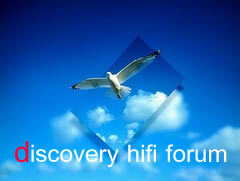 - First of all, by changing the layout and placement of components, we have reached a noise-floor of a stunning -145dB. This is practically unheard of, and means it delivers a gigantic soundstage. - Secondly we have further reduced jitter. Especially something called “skirting”. The effect of this improvement is much better timing and precision. Like the “smack” when you hit the drums.